As the work landscape evolves at a rapid clip, coworking spaces have grown in popularity. 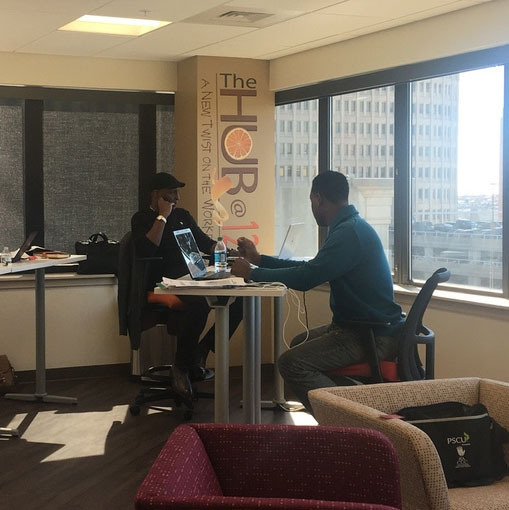 For business leaders, consultants, entrepreneurs, independent contractors, and professional Wilmington residents looking for a new kind of office space, our latest addition, The Hub @ 1201, is a twist on the traditional work environment. You are tired of a dull and restrictive cubicle. You envision a spacious corner office with amenities. You are ready to belong to a community of leading edge entrepreneurs and leaders. You long to be a participant in the growing, thriving environment of Downtown Wilmington. And you can have all of it for less than $200 per month. 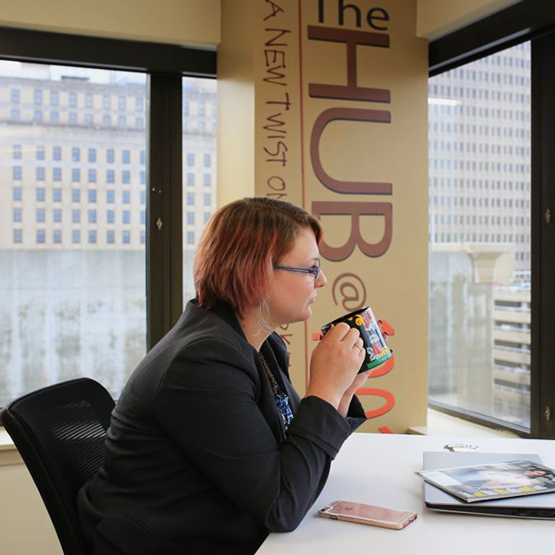 The HUB@1201 is the most professional and classy Coworking facility that has all the charms of a friendly, intimate and warm environment to conduct business. This makes Stat International the best place to conduct business not only in Wilmington, but in New Castle County as well. Our firm has experienced other locations like this throughout the US and none has given our business the total package like Stat International. As it relates to staff, support and amenities, we are treated as if Global Merchant Partners is their only concern at all times. 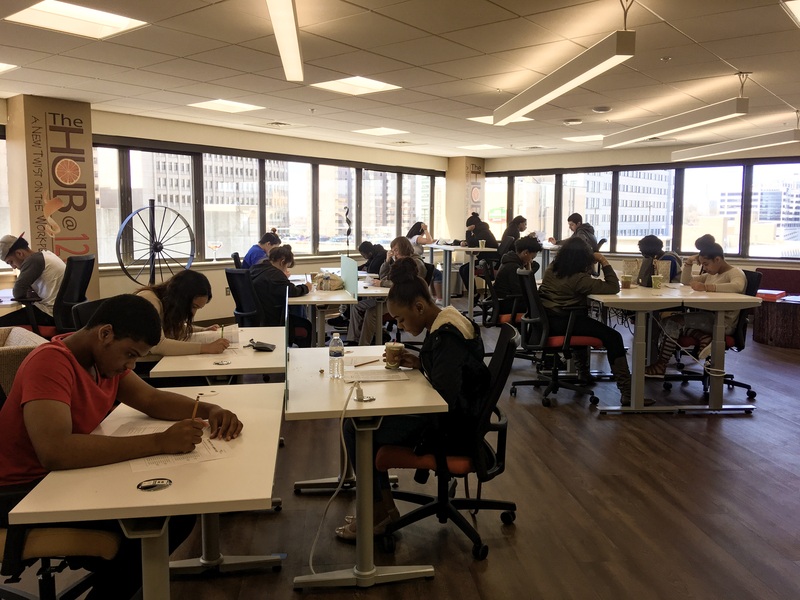 Instead of dull and restrictive cubicles, The Hub @ 1201 offers open spaces and alternative work stations. This means you can choose the type of setting that works best for your style. With its beautiful view of Wilmington, this spacious corner office is full of natural light and chock-full of amenities. Its ample lounge seating, dedicated desk space, and access to conference rooms, printers, and free WiFi makes it an ideal space for organizations who want to explore a unique work environment that promotes collaboration and creativity. 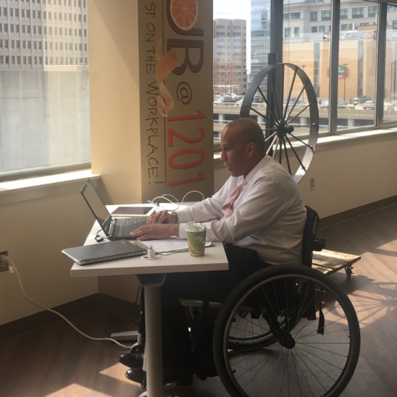 The Hub @ 1201 presents an opportunity for independent contractors, work-from-home employees, and those who frequently travel for business to do their work in a shared workspace. This type of environment can result in a type of energy that’s not easy to achieve when you’re in an isolated cubicle. Better yet, it also eliminates the distractions that many people experience when doing work outside of the office. Overall, it’s the optimal location for workers from different walks of life to meet, work, and collaborate. 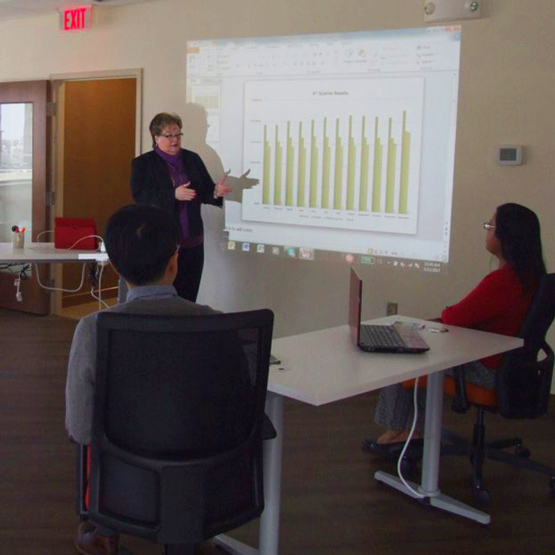 Stat International may offer some of the newest spaces for co working Wilmington, Delaware, has to offer, but you’ll find it’s also one of the most comprehensive, comfortable, and cooperative environments in the area. Can I rent a desk? Yes we have several packages available. From daily rental to weekly and monthly rental as well. If you have any questions, contact us by clicking here. You can come directly into our building on the 7th floor or we can email/call you to get you started. If you have any questions, contact us by clicking here. Our daily pass is only $20, weekly rate is $35 and we also have monthly packages available. If you have any questions, contact us by clicking here. Must I sign a contract? Not for the daily or weekly pass. Our monthly packages require a contract but are renewed on a month to month basis. If you have any questions, contact us by clicking here. We have WiFi and also have an additional boost with Wicked Fast Internet. Fast internet connection is never a problem. If you have any questions, contact us by clicking here. In The Hub Café we have an upscale coffee machine that provides coffee, cappuccino, frappes, hot chocolate and espresso. If you have any questions, contact us by clicking here. 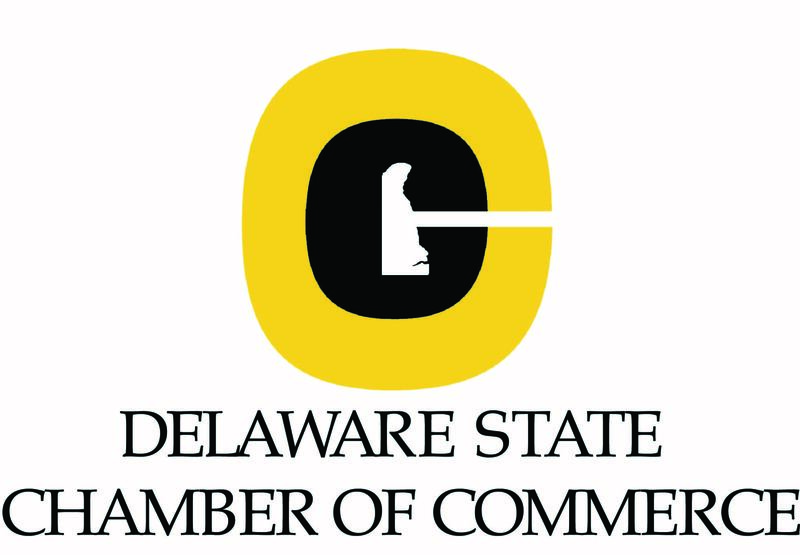 Looking for collaborative workspace in Delaware? You shouldn’t feel constrained by your workspace. If the idea of the standard office environment makes your productivity plummet, a collaborative coworking space can help revitalize your work and overall quality of life. Whether you’re a freelancer or run a fast- growing firm, it’s time to discover the collaborative workspace Delaware workers have come to love. The Hub @ 1201 may be just the change you need! Contact Stat International and reserve your workspace today.